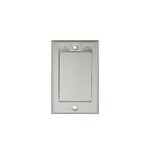 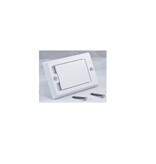 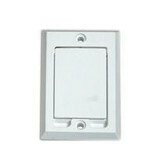 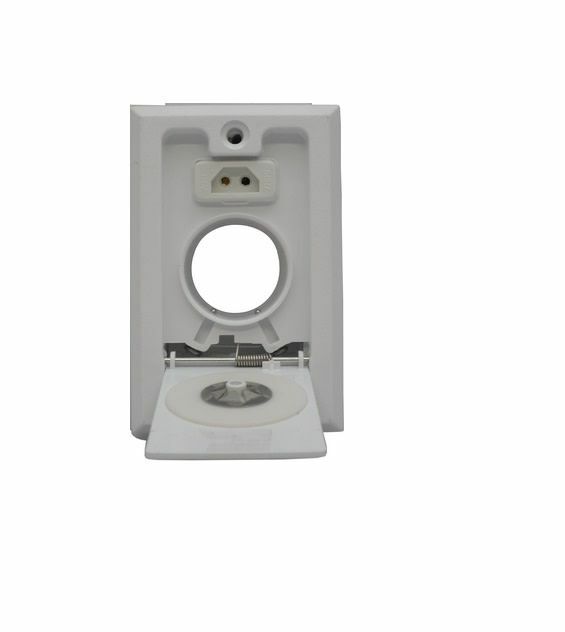 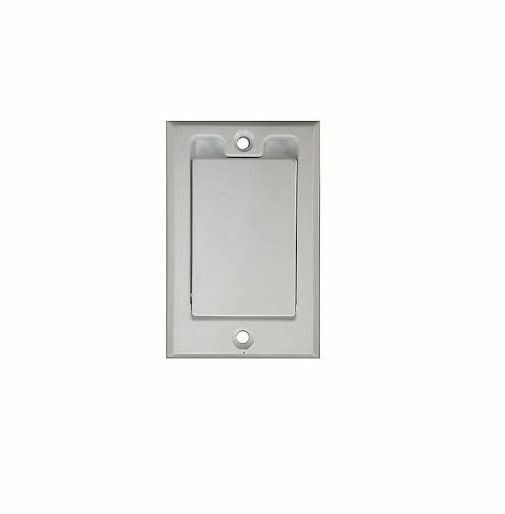 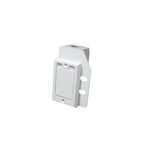 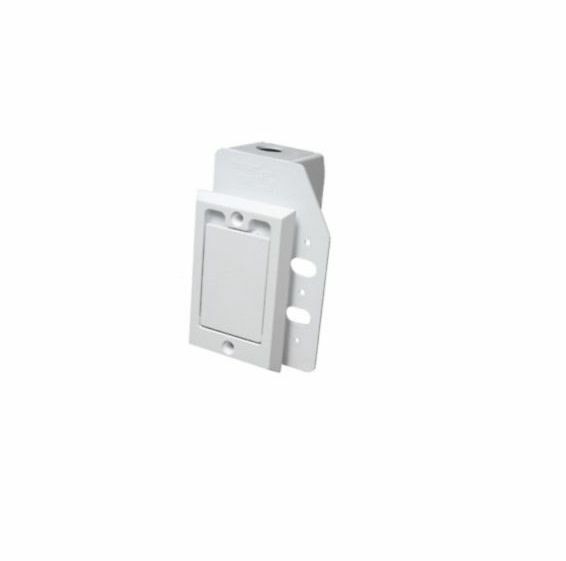 White and has a rectangle door and is a dual voltage inlet. The back of the face plate has hook ups for both low voltage and high voltage. 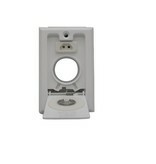 The Hayden valve Does not include mounting bracket. 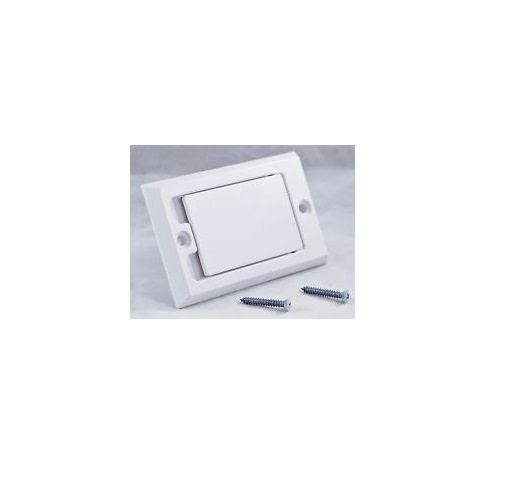 INCLUDES: Inlet Valve and Color Dipped Screws.